This article originally appeared in the Washington Examiner on March 11, 2019. This article appeared in Inside Sources on December 26, 2018. If 2018 had an adage, it would go something like: one man’s cute cat video is another man’s Nazi propaganda video (minus the gender references, of course). Social media platforms such as Twitter and Facebook have been proactive in creating guidelines that try to ensure “over the top” content is banished from their sites, and unruly users expelled. But surprise — “over the top” is a hard concept to define, and overly broad content restrictions tend to hurt conservatives more than liberals. While it’s tempting to take route of social media bashing and call for more government “oversight,” fealty to a free society means allowing the Twitters and Facebooks of the world to moderate at their own promise or peril. This article originally appeared in the Washington Examiner on October 31, 2018. This article appeared in The Federalist on September 19, 2018. 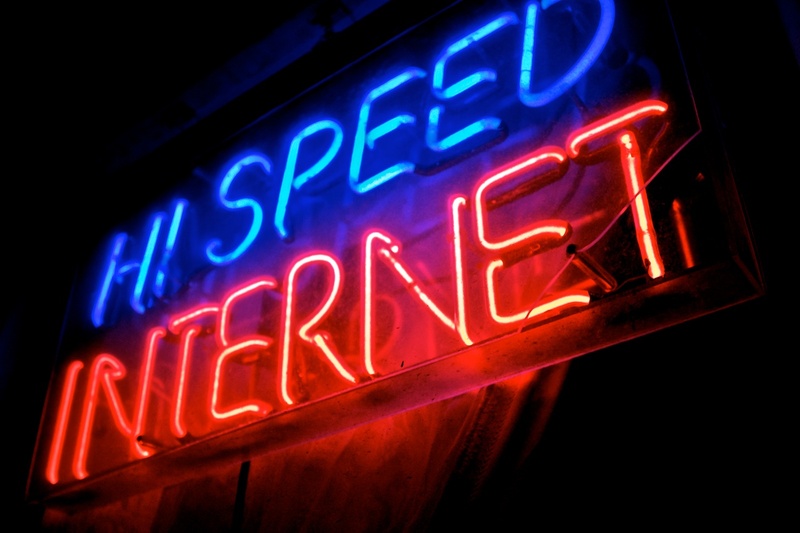 Since Title II internet regulations were repealed in December, supporters of the former rules for the internet have waxed apoplectic over fears about internet service providers (ISPs) and wireless carriers “throttling” (slowing down) speeds. The repealed rules were put in place to force ISPs to treat all internet data equally, which backers claimed prevented throttling and the prioritization of certain data sources. Claims that removing these “protections” would transform the internet into a tiered fiefdom ran rampant on social media and in the halls of Capitol Hill. New data, however, underscores the problems posed by strict internet regulations. This article originally appeared in the Washington Examiner on May 29, 2018. In December, an inaugural Amtrak trip from Seattle to Portland ended in disaster, as thirteen train cars derailed and caused a smoldering ruin over I-5. Amtrak is hardly the only passenger rail vessel to encounter safety issues; the Washington, D.C. metro system has had multiple fires and crashes costing many lives over the years. These events almost always lead to calls for more public funds, even when subsidized systems have a myriad of ways to access cash. For instance, the Washington Metropolitan Area Transit Authority recently benefited from private funds from Qatar to stay open after a sporting event in downtown Washington, D.C. But taxpayers would be wise to look to another model of doing things. Taxpayers and consumers win when free markets, not unelected bureaucrats, drive decisions on the growth of the internet. Regulators ignore this and enact draconian rules and restrictions under a shroud of secrecy. Case in point: the attempt by American and European officials to shield Title II regulatory proceedings from the public view. Under the previous American Administration and the current European Union regulatory junket, strict “net neutrality” rules hampered innovative offerings by internet providers. This article originally appeared in the Washington Examiner on April 23, 2018. Jeff Mazzella is president of the Center for Individual Freedom (www.cfif.org). The dizzying pace of digital innovation has created once-unthinkable economic possibilities for millions of Americans, and perhaps the only way that progress can be stopped is if government gets in the way. But that's exactly what will happen if Congress advances an ill-conceived legislative gimmick that would turn back the clock on Internet rules and slow the expansion of high-speed access to more Americans across the country. WASHINGTON, D.C. – Today, the Taxpayers Protection Alliance (TPA) reacted to the Federal Communications Commission’s (FCC) vote to remove onerous regulations holding back the future deployment of 5G wireless technology. Nestled between knee-high grass and mobile homes, a cell tower in this small community in Cullman County will soon demonstrate cutting-edge technology. It is here that AT&T will run fiber-optic cable and then beam internet signals to nearby homes with antennas installed on their rooftops, a service known as fixed wireless. This rural area in Alabama is one of the test cases for the new technology, which AT&T will use to deliver internet to areas where it’s not cost effective to build out fiber-optic infrastructure. This article appeared in The Hill on September 27, 2017. America has an inequality problem, but not the one many people think. Every few years, statisticians armed with the latest income data from the U.S. Census Bureau claim to find ever-increasing evidence of a widening gap between the have and have-nots. Economists on the right side of the political aisle (and affiliated think tanks) quibble with the methodology used by these researchers, but the overall evidence seems to point to a large gap of some sort. Debating exactly how large this gap is, though, is not nearly as important as trying to make sense of it. This is the second of a two-part series on public policy in the Republic of Georgia. On Friday, Taxpayers Protection Alliance policy analyst Ross Marchand addressed the International Black Sea University in Tbilisi on economic reform in Georgia and the United States. Since the dissolution of the Soviet Union in 1991, Georgia has transformed into an economic juggernaut hell-bent on reversing communist controls. Reform efforts reached a zenith in the early 2000s with passage of comprehensive deregulatory initiatives that made it easier for businesses to expand and hire in the Caucasus nation. For the first time, Georgian lawmakers allowed workers to work overtime hours, and permitted employees to negotiate the number of hours worked per week with their employers. Additionally, employers would be permitted to fire individuals without the stated permission of their trade union. Washington, D.C.- Today, the Taxpayers Protection Alliance (TPA) reacted to the news that President Trump would proceed with withdrawing the United States from the Paris Climate Agreement entered into by the Obama Administration in 2015. After heavy public, and private, debate with stakeholders and administration officials, the White House announced today that the U.S. would no longer be a part of the regulatory framework. 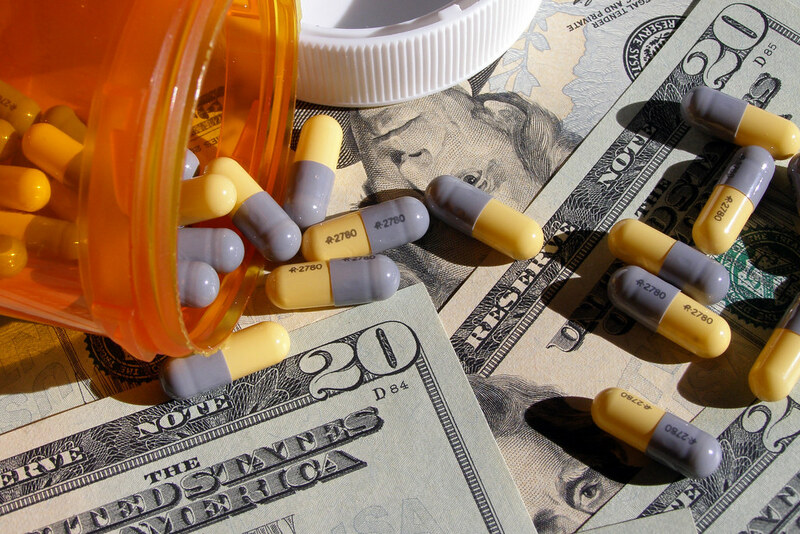 The Food and Drug Administration (FDA) has been operating inefficiently for many years, stifling innovation and making questionable decisions on agency process as it relates to the core functions of the FDA. A change in leadership is exactly what is needed, and newly confirmed FDA Commissioner Dr. Scott Gottlieb could have a strong impact on making the positive changes needed in order to foster innovation and progress in many sectors where the FDA plays a meaningful role. That is why TPA joined with TechFreedom to send this coalition letter to the FDA, Health and Human Services (HHS), Office of Management and Budget (OMB), and the White House calling on Dr. Gottlieb to bring the focus of the agency back to innovation and technology when evaluating solutions and processes at the FDA. Click "Read Blog" below to see the full letter. WASHINGTON, D.C. – On Thursday, May 18 Federal Communications Commission (FCC) Chairman Ajit Pai took a very important step to undo the regulatory damage left behind by President Obama and former FCC Chairman Tom Wheeler. The Title II rules implemented by Obama and Wheeler gave control of the Internet to unaccountable government bureaucrats, and threatened to increase taxes and slow investment and growth in this important industry. It is clear that Chairman Pai is serious about getting tech policy accomplished in a way that works best for taxpayers and all Americans. A free and open Internet will foster continued investment in broadband infrastructure, greater consumer choice, and an open marketplace without putting taxpayers at risk. These rules have cost taxpayers, slowed down broadband infrastructure investment, and hindered competition and choice for Americans. The time to remove the regulatory stranglehold on the internet is NOW. TPA is encouraging all of our members to submit a comment TODAY (click here), and tell Chaiman Pai that you support a free and open Internet. 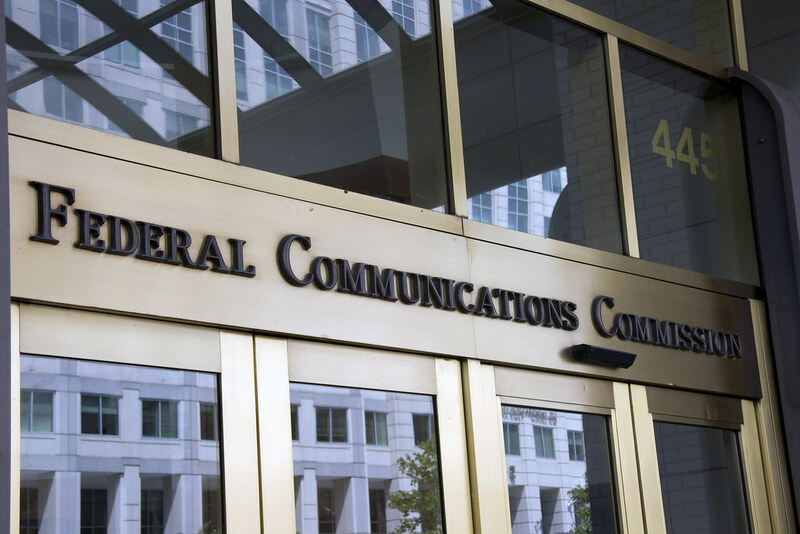 WASHINGTON, D.C. – Today, the Taxpayers Protection Alliance (TPA) applauded Federal Communications Commission (FCC) Chairman Ajit Pai for taking very important steps to undo the regulatory damage done by ex-FCC Chairman Tom Wheeler. The vote today to do away with Wheeler’s disastrous Title II regulations imposed on the internet show that the agency, under the new leadership of Chairman Pai, is serious about getting tech policy accomplished in a way that works best for all Americans. TPA President David Williams released the following statement about today’s open meeting. Bill Nye's new show on Netflix allows viewers to bask in all of the self-righteousness and goofy shouting that we missed from the 1990s. "Does the guy always shout this much?" asked an incredulous Redditor after seeing the Science Guy's show for the first time. Such questions, which have proliferated around the Web in recent days, show a fundamental disconnect between the "I love science" crowd and the rest of us. It's not that I'm trying to be "anti-intellectual"; I find the scientific method useful in tackling life's most pressing questions. But when propagandists such as Nye invoke "science" to the limited end of promoting dubious public policy, it's important that taxpayers know the truth. In a meeting last week, Nevada Governor Brian Sandoval asked Attorney General Jeff Sessions to leave his state alone when it comes to regulating online gaming. We don’t know the entire contents of that meeting, but Gov. Sandoval likely pointed out that Nevada and several other states are already effectively regulating online gaming. They are doing so on issues ranging from prevention of play by minors to geolocation to ID verification. To use that old chestnut, this is a problem that ain’t broke, but the federal government is looking to fix it. Politicians, encouraged by deep-pocketed patrons such as casino magnate Sheldon Adelson who don’t appreciate the online competition, are pushing a deeply flawed, dishonest piece of legislation called the Restore America’s Wire Act (RAWA). The legislation is flawed because it would lead to a crackdown of online gambling by Sessions and other law enforcement for no good reason. Americans by and large are OK with legal gambling as long as it is reasonably regulated. Online gambling hosted in states that allow it is hardly the Wild West. Despite the deregulatory zeal shown by the Trump Administration and Congress, the vast majority of Obama-era rules remain in place. The cumulative effect of these interventions is large, with hundreds of billions of dollars being sucked out of the economy annually. Financial regulations, ushered in under the 2010 Dodd-Frank Act, had a particularly deleterious impact by targeting lending and borrowing activities. The wide-reaching legislation costs the economy as much as $36 billion a year, and imposes 73 million paperwork hours on American firms. But what can remedy this regulatory hangover? Later this month, Congress will contemplate passage of the Financial CHOICE Act. This legislation removes the onerous mandates of the Dodd-Frank Act, and places regulators on a tight leash. Independent rule-making bodies such as the Federal Reserve and the Consumer Financial Protection Bureau (CFPB) will now be required to comprehensively explain their cost-benefit logic to the American public. 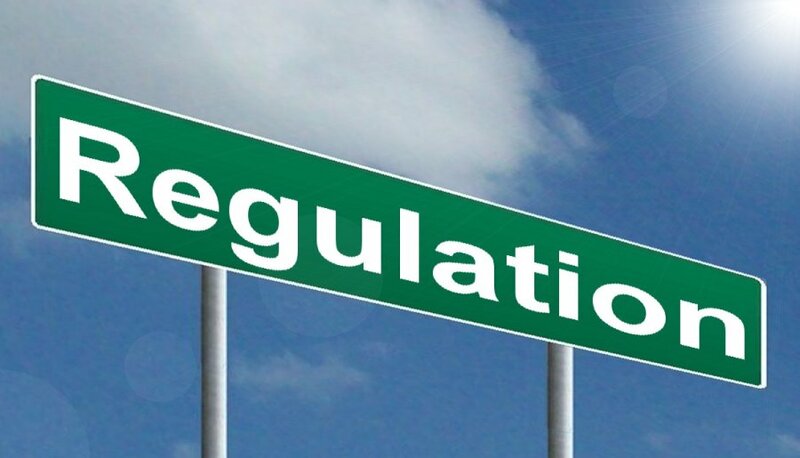 Congress already requires that new rules deemed to be economically “significant” be exhaustively evaluated in regulatory impact analyses, but financial regulations often slide under the radar. Given the ability of the Federal Reserve and the CFPB to usher in regulations affecting lending and borrowing for the entire economy, it’s only wise to require their methodologies to be scrutinized in the public eye.